If Palestinian leaders indoctrinate their people to pursue genocide and the New York Times doesn’t report it, is the indoctrination nevertheless of consequence? In a recent poll of Palestinian opinion - conducted by Stanley Greenberg, leading pollster for the Democratic party, in conjunction with the Palestinian Center for Public Opinion, and sponsored by the Israel Project - 73% agreed with a quote from the Hamas charter on the need to kill all Jews. Those who get their news on the Arab-Israeli conflict from the Times would likely be surprised and befuddled by this result. Alternatively, they might attribute it to hostility generated by Palestinians living with elements of self-government but, at least in the West Bank, that self-governance significantly short of full independence from Israel. Of course, the latter view makes little sense. Those who embrace it would very probably not expect, for example, that 73% of Tibetans wish to murder all Chinese, or 73% of the people of Darfur desire to kill all Sudanese Arabs; yet these groups live under infinitely more onerous conditions than the Palestinians of the West Bank or Gaza. In addition, the same poll revealed that only 34% of Palestinians questioned would accept the creation of a Palestinian state alongside Israel as a permanent solution to the conflict. Presumably, if the "occupation" were the source of Palestinians’ genocidal hostility, they would view attaining an independent state as the arrangement that would assuage that hostility. No doubt the people of Tibet and Darfur, as well as dozens of other populations around the world living under genuine occupation, would be delighted to be offered independence. Rather, 66% of Palestinians said that a two-state arrangement might be a starting point but that the Palestinian goal should be the annihilation of Israel. In fact, Palestinian dedication to Israel’s destruction, and indeed to the annihilation of the Jews, would be of little surprise to anyone who has bothered to follow the agenda set by Palestinian leaders since Israel’s creation. Insistence on its destruction pre-dated Israel’s presence in the West Bank and Gaza, and calls for killing of all Jews is not only part of the Hamas charter. It has, for example, been a fixture of Palestinian Authority indoctrination - at times in cooperation with Hamas - virtually since creation of the Palestinian Authority in 1994 and subsequent PA control over a large network of media, mosques and schools. Yet, as central as the promotion of genocide is to Palestinian indoctrination, evasion of the issue is no less central to Times misrepresentation of the Palestinian-Israeli conflict. If there is any allusion to it in the Times, it is almost invariably to minimize its significance and even to ridicule Israeli concern about it. "Whether Likud or Labor, Jews are Jews... They are the terrorists. They are the ones who must be butchered and killed, as Allah the almighty said: Fight them; Allah will torture them at your hands, and will humiliate them... Have no mercy on the Jews, no matter where they are, in any country. Fight them, wherever you are. Wherever you meet them, kill them. Whereverr you are, kill those Jews and those Americans who are like them..."
Halabaya, in this official Palestinian Authority broadcast, also asserted that all of Israel properly belongs to the Arabs. Orme, in his Times article published eleven days later, notes Israeli complaints of the PA’s using its official media for incitement, and his tone is clearly dismissive of Israel’s position. He writes at one point, "Israelis cite as one egregious example a televised sermon that defended the killing of two soldiers. ‘Whether Likud or Labor, Jews are Jews,’ proclaimed Sheik Ahmad Abu Halabaya in a live broadcast from a Gaza City mosque the day after the killings." That is all Orme says of the sermon; nothing about Halabaya’s exhortations to butcher Jews wherever one finds them, nothing about his assertions that all of Israel belongs to the Arabs, nothing about his invoking of Allah as calling for the torture and murder of the Jews. Orme’s intent was obviously to make the Israeli complaints look unfounded and ridiculous. In June, 2001, New York’s two Senators at the time, Charles Schumer and Hillary Clinton, sent a letter to President Bush lauding his efforts to achieve an Israeli-Palestinian cease-fire but noting that, "Unless the Palestinians take unequivocal steps to stop the rhetoric of hate emanating from official Palestinian Authority (PA) statements, media organizations and textbooks in Palestinian schools, any peace agreement will have little meaning... For nearly ten years, while Mr. Arafat and the Palestinian leadership were speaking the language of peace with Israel and the West, they were continuing their calls for the destruction of Israel to the Palestinian people and the Arab world." The Senators included in their letter illustrations of Palestinian incitement and hate-mongering. Among them were a statement from a PA minister, made a few months before the outbreak of hostilities, that Oslo was merely a first step toward Israel’s destruction; an article in an official PA newspaper calling for the killing of Jews wherever they are found; and citations from Palestinian school texts declaring that "there is no alternative to destroying Israel" and proposing that the Jews had been brought to "our land" in order to be annihilated. But the New York Times could still not bring itself to cover the issue of genocidal Palestinian incitement, or of Palestinian incitement more broadly. The same is true now. The PA declares Israel illegitimate. It denies any historical connection between Jews and the land and insists Jews are simply usurpers in Palestinian lands. It teaches Palestinian children they must dedicate themselves to Israel’s destruction. It lauds murderers of Jews as models whom Palestinian children should aspire to emulate. It promotes the murder of all Jews. Often, PA president Mahmoud Abbas participates directly in this incitement. And the indoctrination has consequences. As a generation of young Palestinians has grown up knowing only the PA’s education curriculum, and PA media and mosque incitement has shaped broader Palestinian opinion for almost two decades, the indoctrination has rendered the possibility of genuine peace only more remote. The recent poll cited above illustrates this inevitable reality. But if Palestinian incitement to Jew-hatred and genocide has consequences, so, too, does the Times’ consistent failure to cover that incitement. It distorts Times readers’ understanding of the nature of the Palestinian-Israeli, and broader Arab-Israeli, conflict. In addition, as the Times remains in some respects America’s newspaper of record whose stances are regurgitated by myriad other news outlets, it inculcates belief in those distortions in a much wider audience. But apparently that’s the Times’ intention. The explanation for its failure to cover Palestinian incitement to Jew-hatred and genocide is unwillingness to publish truths that undermine its editorial bias. That bias is, essentially, that genuine peace can be achieved by sufficient Israeli territorial concessions, and that Israel’s making those concessions does not entail exposing the Jewish state to unacceptable threats. This is the line pursued in Times editorials, in the articles of the paper’s op-ed writers, and even in news stories. For example, in an August 7, 2011, editorial entitled "Palestinians and the U.N.," the paper expresses "sympathy for [Palestinian] yearning and... frustration. For years, they have been promised a negotiated solution... and they are still empty-handed." The editorial calls on the United States and "its partners" to "put a map on the table, with a timeline for concluding negotiations," supports that map being based "on pre-1967 borders with mutually agreed land swaps," (in fact, there were no pre-1967 borders, only armistice lines, and the Times itself has corrected this error on multiple occasions in the past but apparently still cannot resist repeating it for its rhetorical value) and ridicules Prime Minister Netanyahu and others who characterize those lines as "indefensible." Nowhere in the editorial is there any reference to the obstacles to peace presented by Palestinian leaders’ refusal to accept Israel’s legitimacy within any borders and their persistent incitement to the state’s destruction. Of course, the editorial is silent on the Palestinian promotion of the extermination of Jews. The same basic biases were recently repeated in another Times editorial on September 11, entitled "Palestinian Statehood." In this piece, the editors indict the United States, Israel and Europe for failing to offer Abbas enough to dissuade him from seeking recognition of a Palestinian state at the UN. Standing truth on its head - ignoring that it has been Abbas who has consistently refused to negotiate, except briefly near the end of Israel’s ten-month construction freeze in the West Bank, and has instead waited for the Obama administration to deliver Israeli concessions as a condition for negotiations - The Times editors, in their ascription of fault, assert, "We put the greater onus on Mr. Netanyahu, who has used any excuse to thwart peace efforts." Once more the editors declare that "The United States and its Quartet partners... should put a map and a deal on the table, with a timeline for concluding negotiations... The core element: a Palestinian state based on pre-1967 borders [sic] with mutually agreed land swaps..."
Predictably, there is again no acknowledgment in the editorial of the obstacles to peace presented by Palestinian leaders’ refusal to accept Israel’s legitimacy within any borders and their incessant incitement to the state’s destruction. Of course, there’s once more no reference to Palestinian promotion of the extermination of Jews. For Thomas Friedman, the Times perennial op-ed "expert" on Middle East affairs, Palestinian incitement, including the incitement to genocide, is likewise a non-issue. The major issue is, and has always been, the settlements. More recently, as in a June 18, 2011, op-ed, Friedman has embraced the mantra of a return to the 1967 "borders" (as he characterizes the cease-fire lines in the op-ed) with "mutually agreed border adjustments." In the piece, entitled "What to Do With Lemons," Friedman proposes a new UN resolution which, in some respects copying the 1947 General Assembly Resolution 181 that called for partition of Mandate Palestine into a Jewish state and an Arab state, would repeat this formula but specify, in Friedman’s words, "the dividing line should be based on the 1967 borders..." Friedman insists such a new General Assembly resolution would satisfy the basic desires of both sides. As is typical for Friedman, the Palestinians have no desire to destroy Israel and annihilate its inhabitants as well as other Jews. That part of reality would sour the lemonade he brilliantly fantasizes - has for decades brilliantly fantasized - creating out of Middle East lemons. Nicholas Kristof is the Times op-ed writer who likewise opines extensively on the Israeli-Palestinian conflict, invariably to bash Israel. In fact, there is virtually no form of anti-Israel disinformation - whether concerning supposed Israeli withholding of electricity or water from Palestinians, or stealing Palestinian land, or destroying Palestinian homes - that Kristof has not parroted. In an August 3, 2011, op-ed entitled "Seeking Balance on the Mideast," Kristof attacks Israel for various perceived transgressions, including its military campaign against Hamas in Gaza in 2008 in response to incessant Hamas rocket and mortar fire into Israel. Kristof also excoriates the House of Representatives for overwhelmingly passing a resolution at the time supporting "Israel’s right to defend itself." He likewise condemns the House for passing a similarly overwhelming resolution urging the Obama administration to block Palestinian attempts to seek recognition of statehood at the UN and also threatening to cut off funding to the Palestinians if they go forward with the UN gambit. Nowhere in Kristof’s writing attacking Israel is there any acknowledgment of Palestinian promotion of Israel’s destruction and of the mass murder of Jews. Much of Kristof’s August op-ed is devoted to championing J Street - the new, heavily left-leaning, Saudi- and Soros-funded, self-styled "pro-Israel" organization - and its leader, Jeremy Ben-Ami. To Kristof, J Street and Ben-Ami, whom he quotes repeatedly, are welcome alternatives to the established pro-Israel community. But Ben-Ami responded to the Israeli incursion into Gaza by drawing a moral equivalence between Israel and Hamas and essentially condemning Israel’s action. And he has dismissed Israeli concerns about Palestinian aspirations to Israel’s destruction and Palestinian promotion of genocide as paranoid, as representing the persistent echoes of past genocidal assaults on Jews. For example, he observed - in a New York Times interview, "… there’s their grandmother’s voice in their ear; it’s the emotional side and the communal history…"
Nor in any of his many op-ed’s about Darfur since then has Kristof covered the wider Arab role. In March, 2009, Sudanese president Omar Hassan al-Bashir was indicted for genocide in Darfur by the International Criminal Court. Some weeks later, al-Bashir flew to the meeting of the Arab League then being held in Doha, Qatar, and won unanimous support from League members against the ICC indictment. PA President Abbas declared, "We must also take a decisive stance of solidarity alongside fraternal Sudan and President Omar al-Bashir." Hamas, whose terrorists attend training camps in Sudan overseen by the same people responsible for the butchery in Darfur, had organized a large pro-Sudan demonstration in Gaza shortly after the indictment, and Hamas leader Moussa Abu Marzouk had flown to Khartoum to show his backing of al-Bashir. Also in March, 2009, Kristof wrote two op-eds about the indictment, Sudan’s crimes in Darfur, and the world’s need to do more. But in those articles, and in the weeks and months that followed, he was silent on the Arab role, the spectacle in Doha, and support for the genocide provided by the PA and Hamas. Apparently, Kristof’s anti-Israel animus, and his determination to ignore the genocidal agenda of the Palestinians, is so strong that he is willing to overlook Palestinian and broader Arab backing of genocide in Darfur rather than even broach the theme of genocidal sentiments among Israel’s enemies. The Times news pages have largely become an extension of the editorial section and this is certainly true regarding Israel. The Times bureau chief in Jerusalem, Ethan Bronner, has filed innumerable articles in which the story line is essentially Palestinian grievances against alleged Israeli oppression, with no context given that would offer a counter-perspective. For example, a July 28, 2011, piece entitled, "Where Politics Are Complex, Simple Joys at the Beach," tells of most Palestinians in the West Bank having no opportunity to visit Mediterranean beaches because they are blocked from entering Israel, and of the efforts of an Israeli women’s group to smuggle Palestinian women into the country for beach outings. 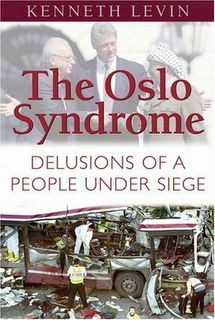 Only in the thirteenth paragraph of the story is there any allusion to the reality that virtually from 1967, when Israel first gained control of the West Bank, until 1994, when Arafat’s entry into the territories as per the early Oslo agreements was accompanied by an unprecedented wave of anti-Israel terror, Palestinians from the West Bank typically moved freely in Israel, including to its beaches. The terror assaults that followed Oslo led to periodic closures of pre-1967 Israel to most Palestinians, and this exclusion became more systematic and consistent after Arafat launched his terror war in 2000 that killed about a thousand Israelis and maimed thousands more in the ensuing few years. Given that Bronner routinely gives his frequent "human interest" stories regarding Israel and the Palestinians such a biased tilt, it is hardly surprising that, in his years as the Times Jerusalem bureau chief, he has written virtually nothing on Palestinian, including PA, incitement - in media, mosques and schools - to the destruction of Israel and extermination of the Jews. In a November, 2001, retrospective on World War II coverage, Max Frankel, former Times executive editor, offered a mea culpa for the paper’s under-reporting of the Nazis’ genocidal policies and actions regarding the Jews. Frankel called it "the century’s bitterest journalistic failure." Much has changed at the Times since World War II. What was then a generally left of center editorial stance has shifted much further to the Left; and what was largely a focus on objective reporting in news stories has transformed into much more advocacy journalism and a blurring of the distinction between news pages and editorial pages. But one constant between then and now has been the Times’ consistent reluctance, and general failure, to cover genocidal threats to Jews. And both the threats, and the Times’ failure to cover them, are of consequence.